It may sound ridiculous, but American inventor Mike Lane has come up with a design that allows cyclists to see the road ahead while looking down at their handlebars. 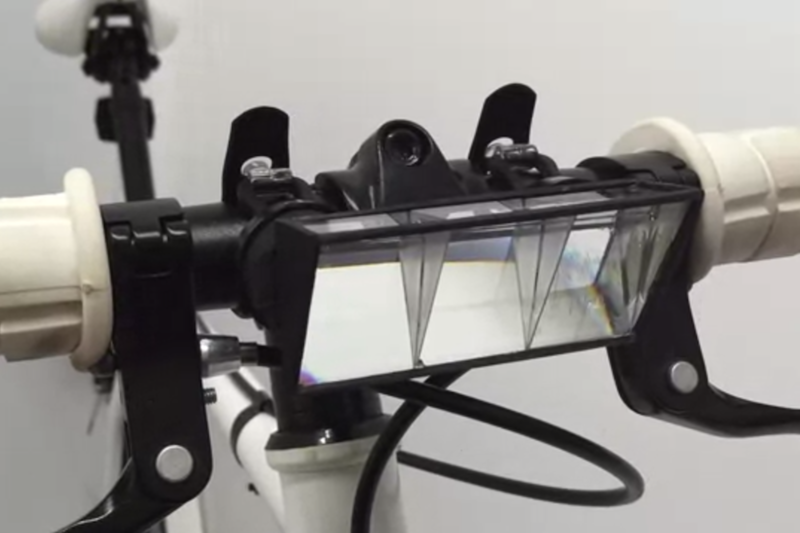 Normally periscopes are reserved for submarines and wannabe spies, but now Lane has used the device’s prism based design and applied it to a bike. The position required for riding a bike can often cause neck or back pains for the rider, with the need to crane the neck upwards accentuating the problem. Now, the answer to that problem clearly isn’t to not look where you’re going, and we’re sure the Pediscope wasn’t designed so that riders would just stare at their bars the whole time. But a moments respite from looking up could alleviate a few problems, and the Pediscope could increase safety on the road. It’s unclear what happens if the sun shines on the prism, however. Whether your tyres will melt or the driver of the car in front of you feels a seering pain on the back of their head. But we’re sure the inventor has thought of those complications. If you want to donate a bit of money to the Pediscope’s cause, you can do so on its Kickstarter page.